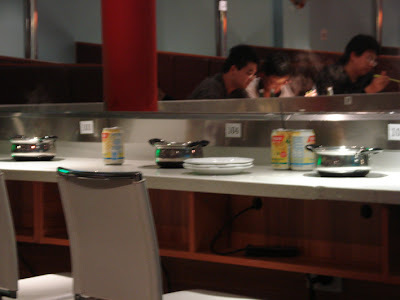 Little Lamb is probably a popular place amongst the Asians since they open months ago. Little Lamb serves Hot Pots and BBQs. 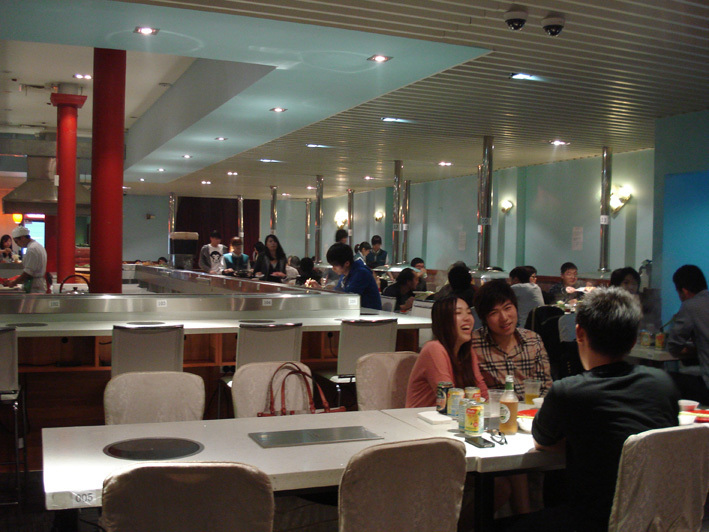 As you can see the photo above, the table with silver pillars are the BBQ table and the rest will have just Hot Pots. So, if you want BBQ and Hot Pot, make sure you book in advance and request for the BBQ tables as BBQ tables are popular. Selections were huge and unlimited!! 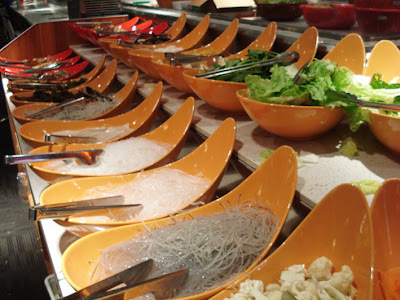 I was amazed how much food they have! 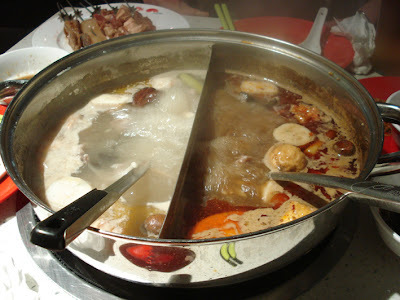 There are steamboat ingredients, noodles, veges, cooked food, seafood, and so much more. The photo below, (times) 3! Then a whole selection of meats for BBQ. 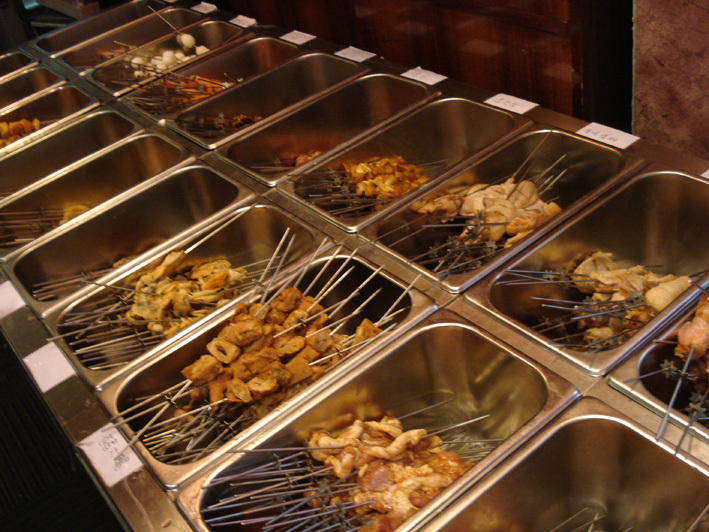 All skewered! I don't know how they do it, skewer so many of them! 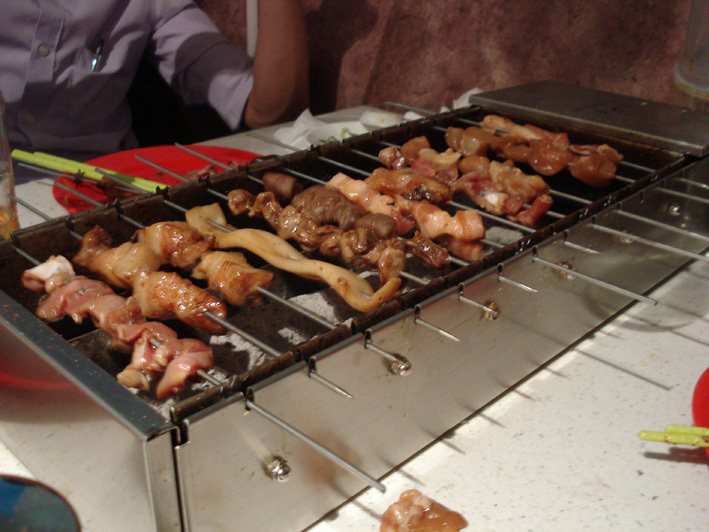 This is our mini auto rotating BBQ pit on the table! What's the best is they are using charcoal instead on electric! Auto rotate just amazed me, I just need to put the skewers on the rolling thingy and wait (eating food from the Hot Pot at the same time) for the meat to cook. They were all delicious! I personally love chicken wings and giblet the most! oh yum!! As for the Hot Pot, we got the mix Hot Pot. 1 side spicy and 1 side non spicy. Remember to get the sauces for dippings. It's yummy too!